Danny Lounged with LannaLee and got a couch! Here is the fourth part of a six-part series featuring those special people who make art and entertainment out of folding air into latex balloons. Our conversations centered on making a living doing art, how they started in the biz and their creative processes. Laypeople and twisters alike will enjoy these fantastic conversations. Danny and Lanna talk about performing with balloons, circus skills and giving feedback. Danny admits he’s an idiot. Lanna asks Danny what he thinks of the United States and remarks that he is her first foreigner on the show. Danny talks about working with Avner the Excentric at the Celebration Barn Theater and describes his creative process. And he answers 10 questions. Danny Schlesinger is an award winning performer who works in theatre, circus, cabaret, tv and film. He has worked with (amoung many) The Royal Opera, The Natural Theatre Company, Circus Sensible, Dynamic New Animations and in 2005 made his West End debut in “Burlesque!” at the Arts Theatre, London. He has performed at the London International Mime Festival and at theatres, corporate events and variety shows. Danny’s film and TV credits include Happiness (BBC2), Jack Dee’s Sunday Service (CH4) and Danny was Homer Simpson. Danny was also the lead in “Sniffer” – a Norwegian short film which has won many awards including the best short film at Cannes 2006. Danny produces his own solo balloon shows for theatres and events and has won awards for doing this! Go Premium! Click Here for Details. 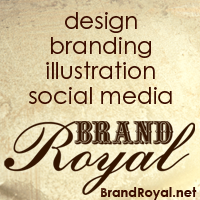 Click Here to Become a Lounge Lizard! Lounging with LannaLee needs your help. Here’s three ways you can show your love! Click: click this link to Subscribe on iTunes. Share: Tell ALL your friends. Use the share buttons at the top or bottom of this post. Get exclusive Lounging with LannaLee updates plus win fabulous prizes, drawn monthly! "LannaLee this is like really just one of the best interviews I've had, and I don't think that I'll have any good ones for the rest of the year so I think you've just wrecked it for everybody." "I just want to say this: Lanna Lee Maheux-Quinn is one of the most, how can I say it, one of the most powerful beautiful goddess people I have ever met in my life, and just a picture of her in my mind can bring me to a place where I just giggle and celebrate and I feel so blessed and honored to know her. I don't know if anyone tells you that, but I absolutely adore you." 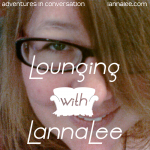 Donate to Lounging with LannaLee! Lounging with LannaLee Makes a Difference through adventurous conversations. These adventures in conversation answer the question: How do we make the world a better place? The intimate chats are presented to you in their unedited glory for your illumination, inspiration and amusement.